The problem started with a minor called Morris. Completely obsessed right from the start. Was brought to a halt by my wife’s distress. “Next time join us” I gently implored. She did, and suddenly Morris was adored. Now completely obsessed with my beautiful pet. Now turned to a male, no longer my Morris. To live with this bloke they call Horace. I’m now driving out with an ex-army tank. This poem was inspired by a poem about the Model T Ford. 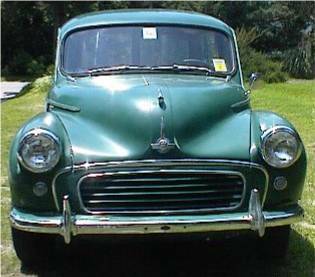 In the U.K.we have a much loved car, called the Morris Minor, which is a sort of icon in the motor trade.